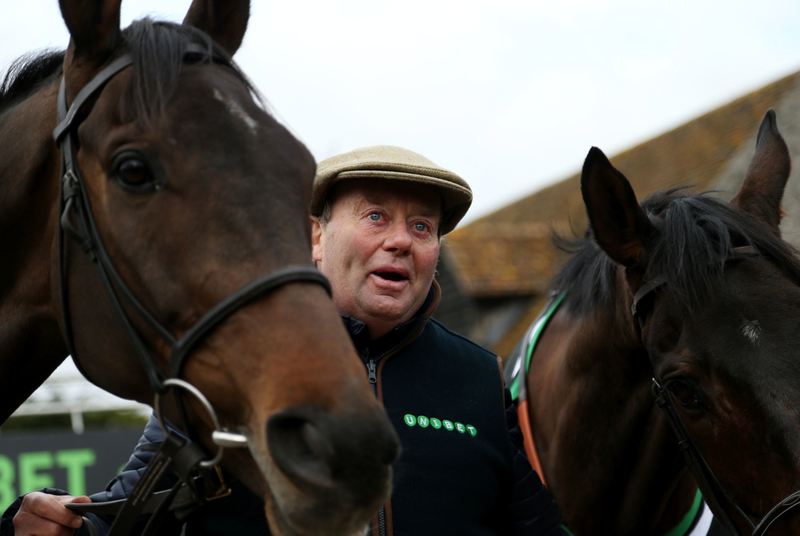 Nicky Henderson has all but conceded the 2019 Jumps Trainers' Championship to old advisory Paul Nicholls, but admits there is plenty to play for with the Aintree Festival looming large. The man from Seven Burrows is currently £400,000 behind Nicholls in the title race, and singled out his chances of winning the £1 million Randox Health Grand National in two weeks time hinges on two entries that may not even make the final cut. This leaves the possibility of a sixth career crown looking rather slim, resulting in Paul Nicholls reclaiming the title for the first time since 2016, and an eleventh in total. (Credit: Racing Post) Henderson said: "We've given up on that on the grounds I'm very, very unlikely to win the Grand National – I might not even have a runner in it, although we might have one. His strong team includes dual Champion Chaser Altior - who made it win number four at the Cheltenham Festival last week, but was forced to knuckle down and work hard on the run-in. With all ground accomplished in the two-mile division, he looks poised to step up to 2m4f for the first time in his career in the Melling Chase on what will also be a first career start at the Merseyside-based track. A new test of stamina looms down the line with a possible tilt towards the King George at the end of the year when the new season dawns - if everything goes according to plan. The nine-year-old will also bid to now break the record of 18 consecutive jumps wins himself held currently by Big Buck's as well, having emulated the latter's efforts at Prestbury Park last week. Henderson said: "He's come out of Cheltenham well and I'm the first to admit it looked like another half a mile would be right up his street. "Two and a half miles around Aintree isn't an enormous test of stamina and if he didn't stay there, he's certainly not going to win the King George. Meanwhile, Buveur D'Air was a shade unfortunate to not win a third straight Champion Hurdle at the Cheltenham Festival after parting company with Barry Geraghty early on. He could make the trip north too for the Aintree Hurdle – a contest he won two years ago over the further trip. Henderson also has Triumph Hurdle winner Pentland Hills to look forward to, along with Ballymore Novices' Hurdle and RSA Novices' Chase runners-up Champ and Santini, who are all being recalled for starts at the prestigious National meeting.